Straits Times Index(STI) had a brutal week and some might have gotten hurt through this week. It’s no surprise that one would be giving up hope at this juncture as the wide swings might have caused confusion and despair. Well, we always treat this as a learning point, remember what we seen and commit it to memory. That is why we also like to always remind ourselves about stop loss and trade size. These are key to trading success. It is also important to have a Community that can spur and encourage you to carry on and press forward. Two are better than one, If either of them falls down, one can help the other up. Are you in a community that picks you up when you fall? Help look out for your blind spots? If you desire to be in such a community. We been updating regularly since the Dow fell and not letting our clients feel alone . Read on to know more as we reveal more towards the end. But first, let’s look at our STI. The Straits Times Index (STI) has come close to our 200ma (3300). 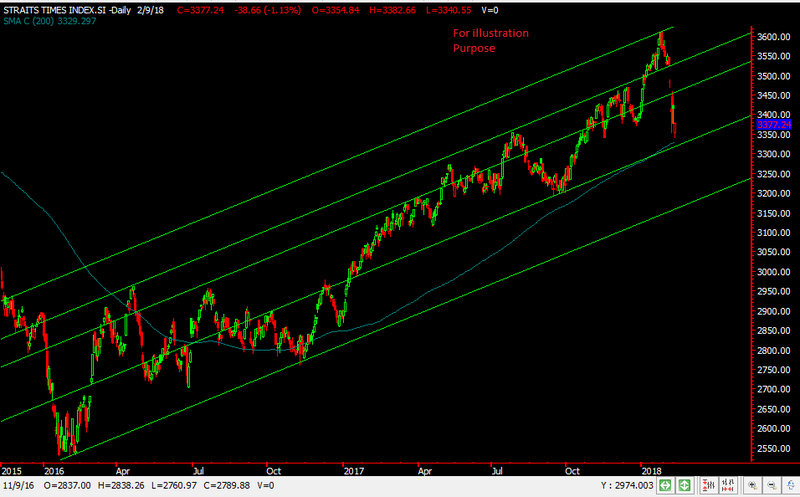 It also coincides with our uptrend line so we might find some support around there. If it doesn’t hold then we might even see the next support of around 3250 being hit. Of course we don’t wish for such a scenario. Is it time to say GoodBye? Or are you looking for some GoodBuys?? Some Blue Chips are on our list too. We are getting ready our shopping list. Have you gotten yours?? Click HERE if you are serious about joining our exclusive community where we’re reveal the top5 stocks that we’re looking at! Open A Trading Account With Us and be updated of the list of stocks that could potentially benefit from a rebound. The post STI – [GoodBUY or GoodBYE! ] appeared first on Singaporehumblestock. Subscribe to Singapore Budget 2017 – What Now?